There is an elegance and poise and care in the language of these poems, an unobtrusive mastery and ease in their cadences and rhythms. Here is writing so close to the sound of how our speech usually arranges itself, and yet set with a hard delicacy that makes it quite something else – memorable, direct, focused to the movement of how the poems present both thought and feeling." Originally from Ireland, Majella Cullinane has lived in New Zealand since 2008. With an MLitt in Creative Writing from St. Andrew’s University, Scotland, in 2011, she published her first poetry collection, Guarding The Flame, with Salmon Poetry. In 2014 she was awarded the Robert Burns Fellowship at Otago University, and in 2017 was the Sir James Wallace Trust/Otago University Writer in Residence at the Pah Homestead in Auckland. She won the 2017 Caselberg International Prize for Poetry, and has been shortlisted for the Strokestown and Bridport International Poetry Prizes. 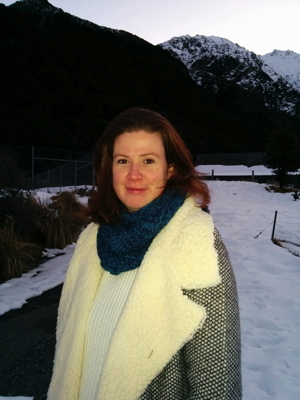 Majella is a PhD candidate at the Centre for Irish and Scottish Studies, Otago University. She lives in Port Chalmers with her partner Andrew and their son Robbie. For too long, what was conceived as ‘the everyday’ (e.g. the domestic and personal) was socially sanctioned as the preserve of women writers. To them were left the perceived crumbs of literature – the domesticated spaces, internal lives and constraints of social mores; those subjects permitted in fiction, for instance. Poetry, meanwhile, focused upon the important stuff: public discourse, big ideas, history, philosophy. In the process, female writers, their voices and concerns were marginalised. In the 1960s, Second Wave Feminist Criticism solidified the consciousness- raising of its First Wave predecessor and began to readdress the gender sidelining that had disregarded important female poetic voices like Felicia Hemans and Letitia Elizabeth Landon. Where, thankfully, this phobic irrationality regarding women poets has – for the most part – disappeared, the exploration of the everyday has contrastingly proliferated. So that today, the personal, domestic and ‘inner’ have become regular topics for poets, irrespective of gender – or, indeed, ethnicity and/or sexuality. Here the ghost represents the collective cultural concept of the deceased ancestors who we carry with us in the present, but also the unknown symbolic rotation of existence. Historic gold-mining is counterpointed, at the poem’s conclusion, by gilded moments of contemporary society such as the much deified game of rugby and the hedonistic street racer. The authorial use of symbol – not as an addendum to poetic craft but as primary means, along with form and cadence, to tune into and bring fresh meaning to practical topics – is widely deployed elsewhere in the book. In early poems like ‘Op shop, 1985’ and ‘All that September’, the bygone and memory are refrains evoked by imagery and association, which the author returns to again and again. do you see a face like your own gathering there? what would they answer her? It’s there too in the later spiritual and spirited ‘The hours’ sequence, where a meditation on religious rites, practices and experiences engages the reader in the mysteries of belief, belonging and symbol. Here, poems like ‘Matins’, ‘Lauds’, Vespers’ and ‘Nocturne’ explore, contrast and intersect issues of worship, iconography and purpose into an arrangement of deeply profound and enquiring works. Domesticity, motherhood and personal trauma are also explored and enriched through the filter of this clever use of curiosity and symbol. In poems like ‘The little boy that got away’ and ‘Isla’, the result is a sense of cathartic release from suffering. 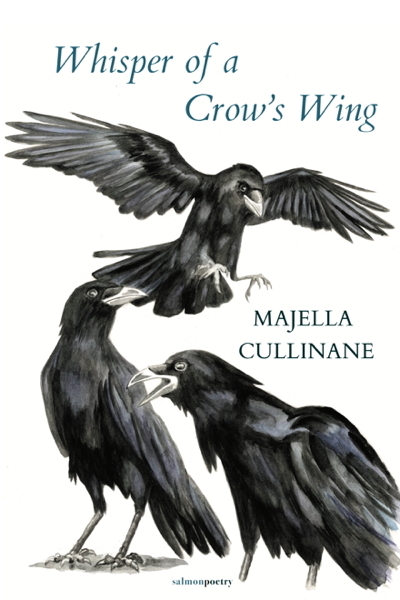 With its shrewd use of craft, imagery and musical language, Whisper of a Crow’s Wing is a stunning book about curiosity, conscience and the revelation of the profound discovered in the seemingly commonplace.